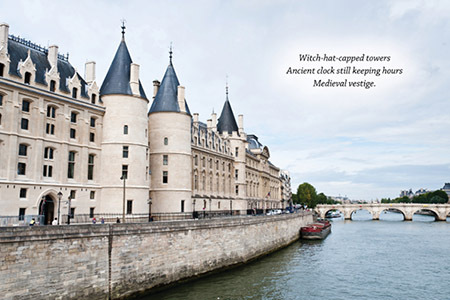 Welcome to the August 2016 edition of our newsletter Paris Panorama! 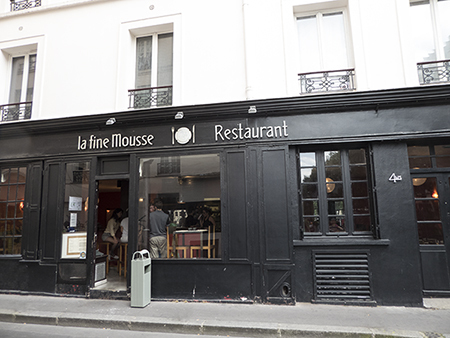 Located in an off-the-beaten-path area of the 11th arrondissement, La Fine Mousse serves delicious food served in an informal setting. 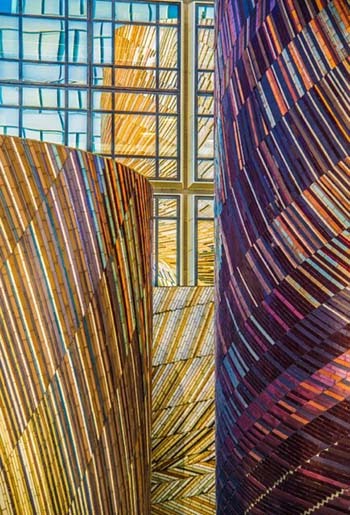 The angels of Paris come in all shapes, sizes, and colors, and are sometimes created using the most astonishing materials. These blue-winged angels form part of the narrative of St. Laurent’s life, and are found on the tympanum of a church not far from the Gare de l’Est. In the 1860’s, Parisian street signs were made from volcanic rock quarried from Volvic in the Auvergne region, cut in fine slices and painted with viscous enamel. 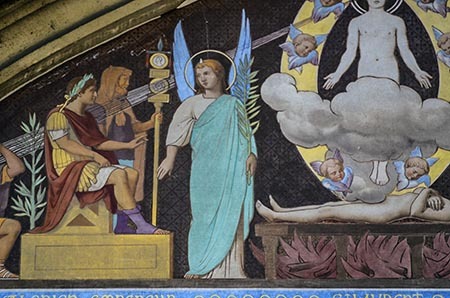 Raymond and Paul Balze, inspired by the style of Raphael’s frescoes, employed this technique for the exterior church decor. Impervious to the elements and easily cleaned, emaillage sur lave – enamel paint on magma – also allowed for rich, enduring colors.